To further promote WellnessYogi RESET, we'll be giving away a pair of Day Passes to the event through our Facebook giveaway contest! 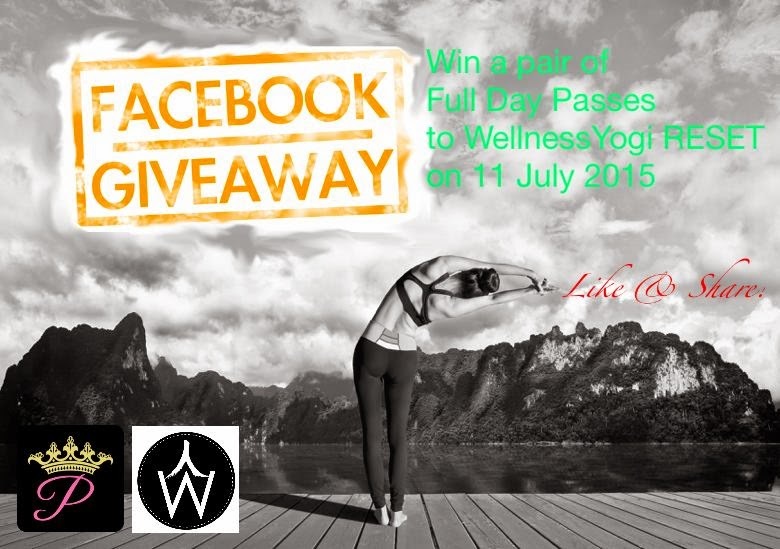 Please head on over to www.facebook.com/Passhen or www.facebook.com/WellnessYogi for more information and to take part in the giveaway! 1st week's contest will end on 18 Apr, 2359 hrs and winner will be announced on 19 Apr. What are you waiting for? Join now!